After getting injured during the race last year, my goal for the 2015 Diez Vista 50k was nothing short of redemption. For me, this would mean improving my time by at least 5 minutes to finish well under 5 hours and, if possible, to finish in the top 5. Heavy rains in the two weeks leading up to the race resulted in flooding along the West side of Buntzen Lake, forcing the closure of a key trail and the floating bridge used during the race. The hope had been that BC Hydro, who maintain the trails around the reservoir, would be able to restore water levels in time. But in the days leading up the race, the organizers had to make the difficult decision to re-route the course. This would make it close to the rerouted course from 2011 after similar flooding, with the addition of one other trail that had since been opened which would allow us to avoid a section of paved road. According to Greek mythology, the Chimera was a monstrous fire-breathing lion, with the head of a goat arising from its back, and a tail ending with a snake’s head. According to the website for the race of the same name, those who have run the course refer to it simply as “The Beast”. 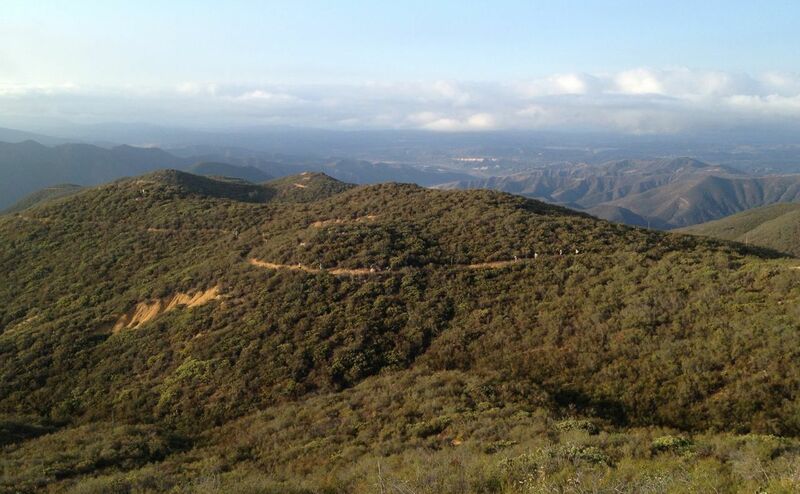 The Chimera 100 miler takes place on a figure eight course that starts and finishes at Blue Jay Campground, in the Trabuco region of the Cleveland National Forest southeast of LA. 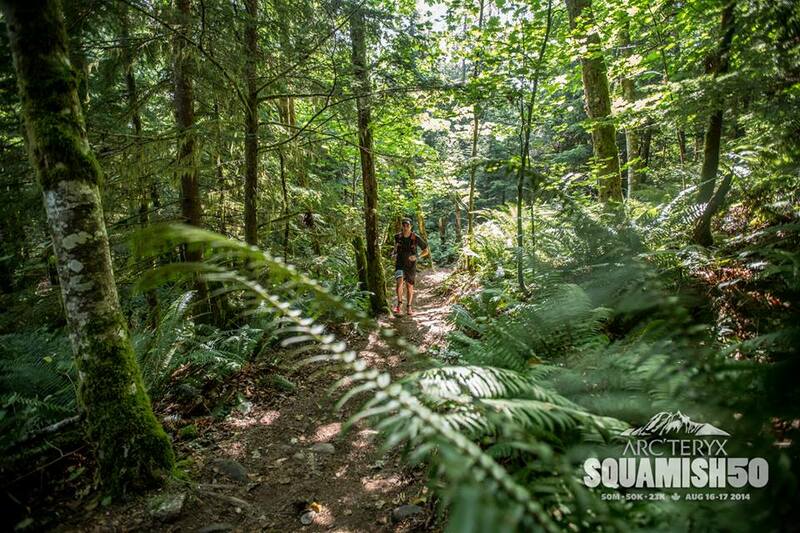 With over 22,000′ of elevation gain, it’s rated one of the toughest trail 100 mile races in the country. My goal would be simply to finish feeling strong and hopefully in under 27 hours, although that was very much an arbitrary time goal. The truth is I would have been happy with anything just under 30 hours so I could get the special nickel buckle (and well under the cut-off time of 34 hours). But the change in schedule made it difficult to wrangle a crew or a pacer, so Dave and I would be on our own. It turns out that mine wouldn’t be a story of pain, suffering, or any of the horrible experiences common with first 100 mile races. No puking, no bonking, and not a single blister. I wish I had a better story to tell, like having to dig myself out from the darkness after an epic low point to come back to slay The Beast. The best I can do is tell you about what I think went right in my training and in my execution during what was a difficult but overall a very enjoyable and memorable race. 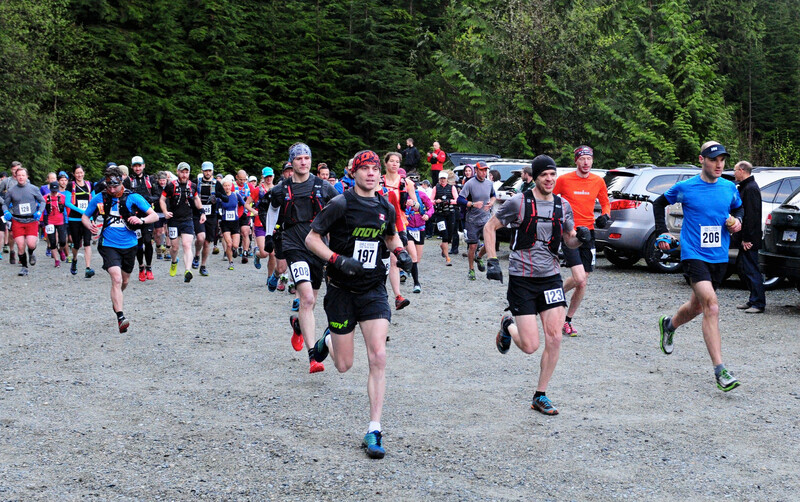 I’m sure I said out loud at some point after sweeping part of last year’s Squamish 50 course that I’d never run the race myself. Co-Race Director Gary Robbins is known for making his courses hard, but this one seemed to lack any flow or ‘runability’ in a serious way, despite being quite beautiful. 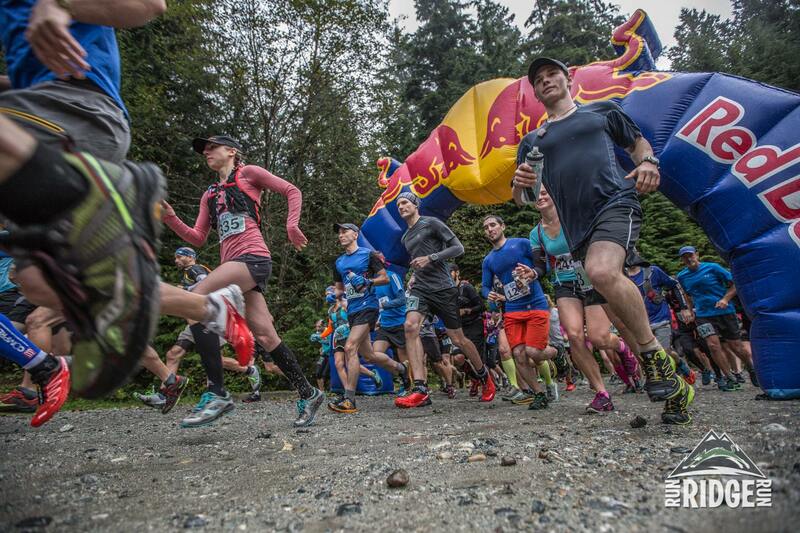 Fast forward to August 17th and I found myself on the starting line for the 50k alongside Salomon Flight Crew teammate Tom Craik and local elites like Ellie Greenwood and Adam Campbell. It’s not the 2,500m of gain plus 2,750m of descent but the terrain itself that make this a particularly challenging course, as evidenced by the 11hr cut off time. My good friend Karl Woll was among the seriously insane attempting the ’50/50′, meaning he’d have raced the full 50 mile course on Saturday before pulling himself out of bed on Sunday to run the last 50 kms all over again. He and I had booked a room at the August Jack which was literally metres from the finish line, so at least he could be carried across the street if need-be. 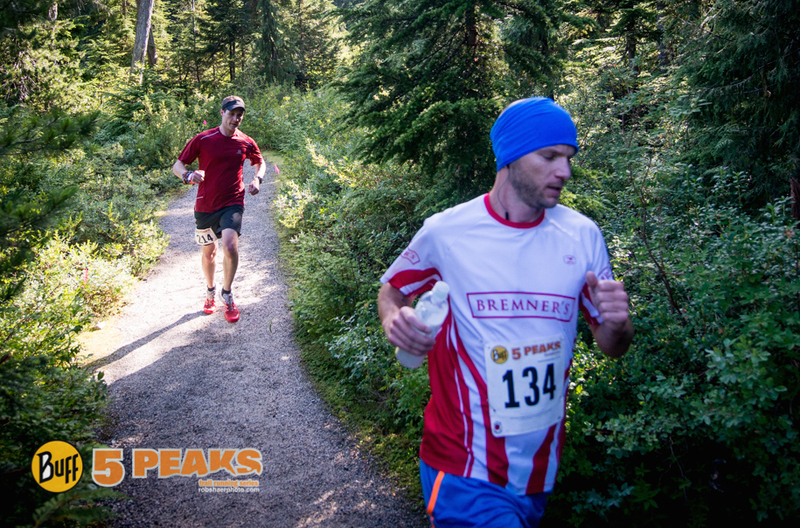 The 5 Peaks Cypress Mountain Enduro on July 26th was to be my 2nd race back since getting injured a few months ago, much shorter and faster than I’m used to, especially given that I haven’t done anything even resembling speed work in a while. I went a little off-course last year to say the least, so I was still looking forward to a better result – provided I could put in a solid effort and suffer a little.